Chinese researchers have unveiled a hypersonic plane design to take cargo and passengers from Beijing to New York in about two hours, one-seventh of the time it currently takes to make the trip. "It will take only a couple hours to travel from Beijing to New York at hypersonic speed," researcher Cui Kai said in a paper published in February by Science China Press in the journal Physics, Mechanics and Astronomy. Researchers are planning for the plane to reach speeds of nearly 6,000 km per hour. The route a normal passenger jet takes from Beijing to New York is about 11,000 km and takes around 14 hours. The team designing the plane is also involved in China's hypersonic weapons development program, the South China Morning Post noted. Beijing's weaponry development in this sphere "outpaces" Washington's own development, US Navy Admiral Harry Harris told lawmakers last week. A scaled-down demonstrator has already been tested in specially designed wind tunnels, the Post adds. The concept features a biplane design where two sets of wings are stacked on top of one another, a model that became drastically less popular, though not extinct, after the 1930s with the advent of jet aircraft. The dual-wing design reduces turbulence and drag while boosting lift capacity at high speeds, researchers said in the paper. However, that high speed comes at a price: the plane's lift capacity is much lower than existing aircraft such as the Boeing 737. 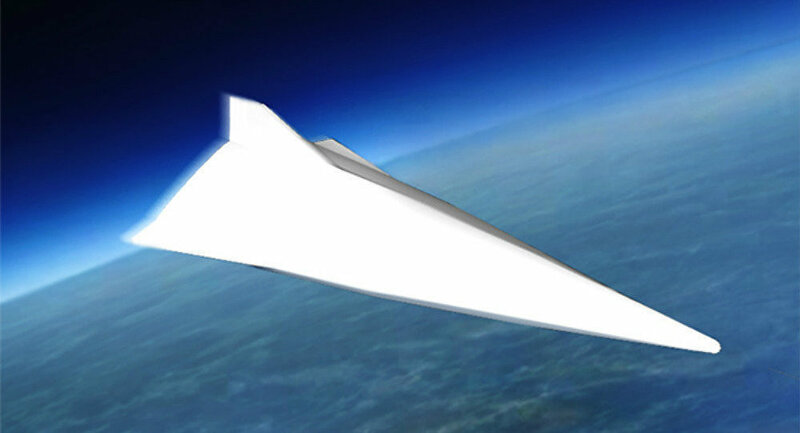 Supposing the hypersonic plane under development in China was the same size as a 737, the hypersonic aircraft would carry about one-fourth as much cargo and passengers: about 50 passengers and five tons of cargo versus the 737's 200-passenger capacity and 20-ton cargo carrying ability.